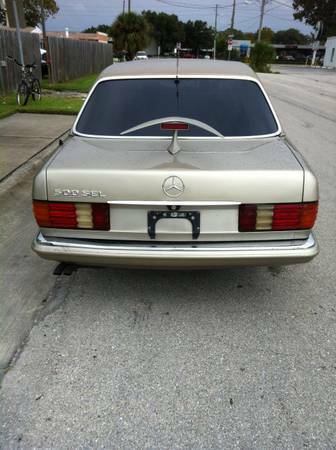 This 1984 Mercedes Benz 500SEL Limousine may or may not have been used on the style making 80s cop show “Miami Vice” but it certainly would have looked at home on the small screen if it had. The description from the seller claims ‘redone interior’ with ‘excellent champagne paint’ on the exterior. The wheels are from a late 1990s vintage Mercedes E class which muddles the style a bit in my opinion and I’d pry off those ugly chrome fender trim pieces. 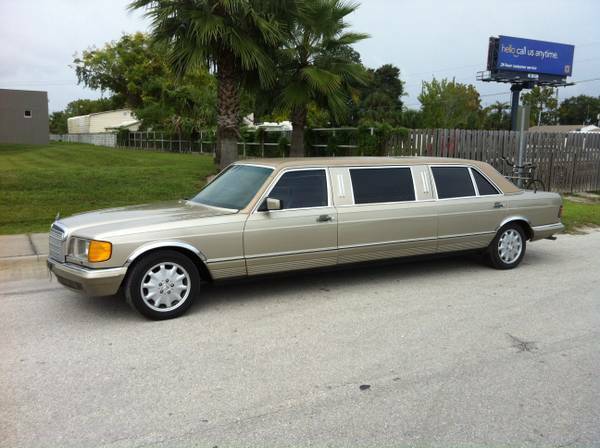 The ‘landau’ top is very ‘South Florida’ but just another thing that makes me question the taste of the owner / builder of this rare W126 chassis limousine. There is no mention of the company that performed the limousine conversion or when it was converted. Mechanically Mercedes W126 chassis cars can be costly to maintain, this car has a stated 172,000 miles and the owner says it has a new exhaust system and drive shaft. 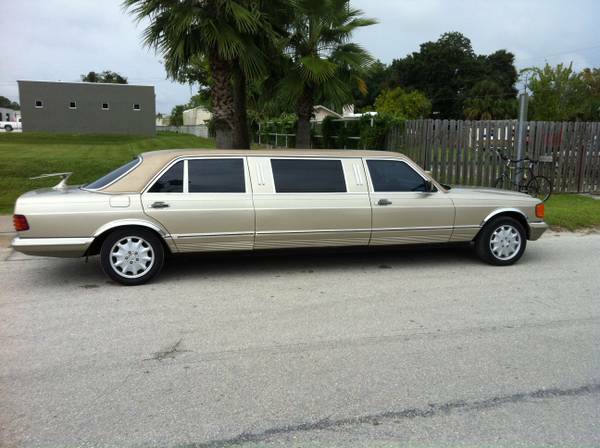 If you’re looking for a limo like this, there aren’t many out there, but when they do appear, they usually have fewer miles than this example. This car probably had a real life as a working limousine, so many others just sit in the garage of their wealthy private owner. 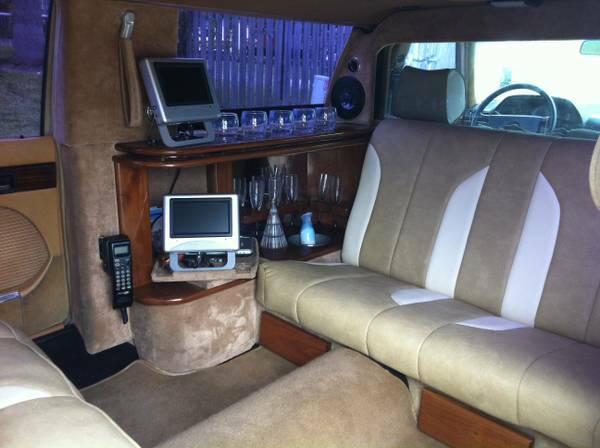 Interior looks like a custom layout, not the classic look of a period Mercedes limo. It’s for sale on Craigslist near Orlando, FL for $9,000. Even with the new paint, interior and recent mechanical work, I don’t why anyone should pay more than about $6,000 for this drug lord chariot… and that’s on the very high side.